These terms and conditions govern the sale of products and provision of services (“products”) to you by Floor Style whose address is detailed on their website; Email Info@floor-style.co.uk; VAT number 756 4008 31 (hereafter "us" or "we" or "our") trading as an independent retailer. 1. 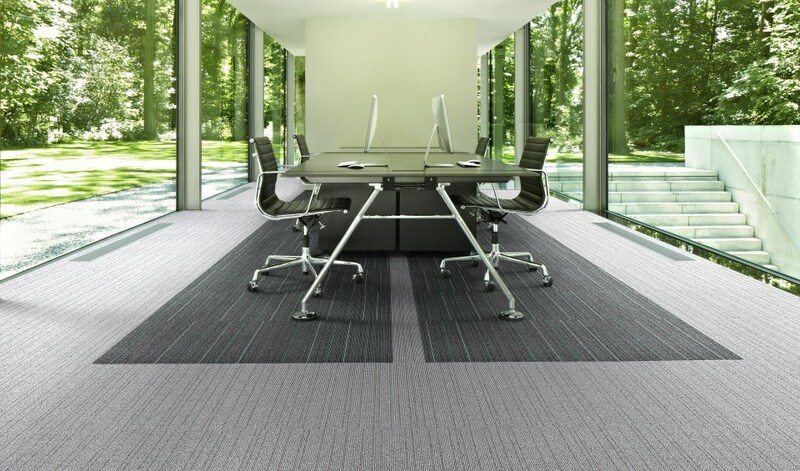 In respect of all of the products promoted through yourfloors.co.uk and made available by us, you will contract directly with us in respect of all transactions. 2. Please note that when you purchase a product through this website you are paying for the flooring and ancillary products and optional installation/ fitting service , delivery being free of charge to your address via our premises, and not any other services. If you would like us to install your chosen flooring products please email us at our email address set out above in order to make arrangements for a fitting. 3. When you place an order to purchase products from us, you will be sent an email to your registered email address containing your order number, details of the products ordered, total cost of the order, etc (the "Acknowledgement Email"). Your order represents an offer to purchase products from us. By completing and submitting an online order form you are making an offer to purchase products in accordance with these terms and conditions which, if accepted, will result in a binding contract between you and us. Note that the Acknowledgement Email is not acceptance by us of your offer to purchase products. 4. We must receive full payment of the price of the products before we can accept your offer to purchase products from us. Your offer to purchase products will only be accepted by us when yourfloors.co.uk, acting on our behalf, sends an email to you advising that your order has been accepted and despatched (an "Order Confirmation"). Only at this stage is a binding contract created. Until this point you may vary or cancel your order. 5. We reserve the right to refuse any order prior to issue of an Order Confirmation. 6. You acknowledge that any text, price lists, lists of products or other sales literature appearing on this website constitute an invitation to treat and may not be construed by you as an offer by or binding obligation upon us to provide any product. 7. All prices and charges on this website are in UK Pounds Sterling. 8. All prices are, unless otherwise stated, inclusive of UK VAT. 9. Although we try to ensure that the prices quoted on this website are accurate, and the products have been fairly described, mistakes can occur. If, after we have accepted your order, we discover a product's correct price is lower than our stated price, we will charge the lower amount and deliver the product to you. If, after we have accepted your order, we discover a product's correct price is higher than our stated price, or there is a material error in the description of products, we will contact you for instructions before dispatch. 10. At any time before you are issued with an Order Confirmation, we reserve the right to adjust prices, offers, products and descriptions of products on this website, including correction of any typographical or other errors or omissions. If we make any adjustment to price and/or description we will contact you for instructions before the Order Confirmation is sent to you. 11. If we cannot contact you to advise of an error/ adjustment in price and/or description, we will treat the order as being cancelled. If the order is cancelled we will refund all money taken from you relating to the purchase of the products. 12. All orders are subject to availability. If, before you are issued with an Order Confirmation, we discover that the products you ordered are not available, we will notify you of this and provide a refund of any money paid to us for the products unless we agree a longer delivery period with you. 13. We reserve the right to withdraw any products from this website at any time before we accept your order, and we will not be liable to you, or anyone else, for withdrawing products. 14. Under the Consumer Protection (Distance Selling) Regulations 2000 you will, if you are buying as a consumer, have up to 7 working days from the day after the day on which the goods are delivered to you to cancel your purchase of the product, for any reason, provided that (i) if the product is cut as part of installation/ fitting you will no longer have a this right of cancellation in respect of this product; and (ii) if we start (with your consent) any of services which you have ordered before the end of this 7 day period, you will no longer have the right to cancel these servicesstops. If you wish to cancel, you must notify yourfloors.co.uk via email of your wish to cancel your purchase of the product using the email address set out below. yourfloors.co.uk will tell you in the Acknowledgment Email if you do not have a right to cancel. 15. If you wish to cancel you must keep the goods in your possession and take reasonable care of them until you return them to us. Goods should be carefully repackaged and returned to us at the address provided in your Order Confirmation complete, unused and in 'as new' condition. 16. Examples of a failure to take reasonable care of goods may include if you use the goods, if you fit or part fit the goods or if you remove the goods from their packaging and fail to properly repack them. 17. To cancel an order you must email floor style at orders@floor-style.co.uk. 18. Products which form part of a cancelled order must be returned to the address provided to you by us in the Order Confirmation. 19. If you cancel your order and the returned goods are in the condition required by these terms, we will refund the price of goods to you within 30 days. We will not be liable for the delivery costs incurred by you for the return of the goods. If you do not return the goods within 30 days of the date of your cancellation or if you request collection then we shall be entitled to arrange to collect the goods and shall charge you a £30 fee for such collection. If you cancel any services, we will refund the price you have paid for the cancelled services to you within 30 days.